Our research interests are focused around the use of comparative genomics and phylogenomics to study the origin, evolution and function of complex biological systems. This includes understanding how specific biochemical pathways, protein complexes or cellular organelles emerged and evolved as well as using this evolutionary information to gain insight into their function. Through collaborations with experimental groups we apply comparative genomics to discover new mechanisms and genes involved in interesting processes, especially those of clinical relevance. On the technical side, our work often involves the development of new bioinformatics tools and algorithms that we make available to the community. Dr. Handley is interested in how viral and bacterial communities impact health and disease in humans. His research program is split between investigating the gut virome and bacterial microbiome in either AIDS or IBD. The Rokas lab study the DNA record to gain insight into the patterns and processes of evolution within several eukaryotic lineages, but mainly with mammals and fungi. They employ many novel computational and experimental approaches and investigate their utility for studying the function and evolution of the genomes of non-model organisms. My research interest is in the diversity, evolution, and ecology of microbial eukaryotes. I am aiming to answer general questions about the eukaryotic cell evolution and energy production in aquatic environments by exploring the diversity of microbial eukaryotes. I use high-throughput sequencing and the bioinformatics analyses of a variety of species and communities from established cultures and from the environment. computer architectures as well as on the evolution of molecular sequences. We understand Bioinformatics as a discipline that develops algorithms, models, and tools that help Biologists to generate new biological insights and knowledge. We try to bridge the gap between the world of systematics and the world of high performance computing. 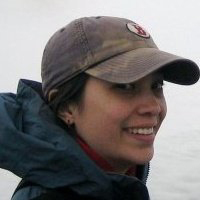 Celine research interests include parameterized complexity, supertree and network methods for phylogenetics, combinatorics, and bioinformatics. My research interests are in statistical genetics, particularly in the inference of phylogenetic trees from nucleotide sequence data. My research in this area is focused around the combination of data at the between and within species levels by combining models from phylogenetics and population genetics, particularly the coalescent model. My most recent work involves the application of techniques from algebraic statistics to problems in phylogenetic inference. I have also worked on problems involving linkage and QTL analysis, and the analysis of microarray data. Research in the dos Reis Lab is focused on the development and application of statistical methods in phylogenetics. We are particularly interested in using Bayesian statistics to infer times of species divergences (that is, in placing geological times of divergence on the Tree of Life), and on methods to measure the strength of natural selection in molecular sequences. My principal interest focuses on the evolutionary ecology of birds. The topics that are central in my researches include questions about the evolution of bird song, the adaptive role of behavioral consistency and plasticity and host-parasite interactions. A large part of my studies relies on the field study of the collared flycatcher, but I frequently apply phylogenetic comparative approaches to investigate interspecific patterns. Research in the Stajich lab focuses on evolution of fungi through use of genetic and genomic approaches incorporating experimental and computational tools. We are focused on evolutionary relationships of fungi in particular zygomycete and chytrid fungi. To better understand the evolution of the whole kingdom we have embarked on a project to sequence 1000 fungal genomes. The lab is also curious about the evolution of pathogenic lifestyles in fungi and the evolutionary processes that promote these changes. To address these questions we study genomes and expressed transcriptome of individuals or populations of a species. We also develop bioinformatic approaches to visualizing and studying genome evolution. This work also include a focus on transposable elements in fungi, rice, and mosquitoes. Recent projects have also taken us to look more at extremophile fungi that live in cold or hot deserts or high saline environments and the adaptations or cooperative lifestyles these fungi utilize to thrive under these conditions. I am an evolutionary biologist fascinated by the causes that underlie the origins and diversity of the organisms. I am interested in the evolution of animals and plants, their systematics, body plans and their genomes. My primary focuses are molecular phylogenetics and comparative genomics, mixing classical biology (especially invertebrates) with genetics, molecular biology, developmental biology, phylogeography and biodiversity. Our laboratory is predominantly using methods of next-generation sequencing, comparative genomics and phylogenomics, differential expression, and bioinformatics. Our main research themes are: (1) Evolution of parasitic genomes in comparison to free-living relatives and commensals: Are there genes specific to parasitic species versus commensalic species? (2) Evolution of secondarily free-living protists: How do they adapt “back” to a free-living lifestyle and what are the major evolutionary mechanisms behind such changes? (3) Interactions between gut parasites and commensals and the gut microbiome: How do parasites and commensalic protists impact the gut microbiome of mammals? We are using differential expression analyses to track changes in the gut microbiome pre- and post-infection with parasitic protists. My research is best described as “model-based evolutionary genomics” and is based on the recognition that our understanding of biological systems is often limited not by the lack of data, but by our ability to extract information from already available large scale datasets. My aim is to develop a coherent treatment of evolutionary process at different time scales, from the diversification of species over hundreds of millions of years to the decade long development of tumors. Our research focuses on two topics that are currently the subject of intense international interest, each aiming to extract quantitative information on the underlying biological processes from large genomic datasets: 1. reconstructing a dated tree of life from complete genomes using phylogenetic discord as molecular fossils and 2. understanding cancer evolution in hierarchically differentiating tissue using tumor genomes.